Entrée du compexe hydroélectrique de la Romaine, sur la Côte-Nord. Montréal, QC - The special committee put in place by Hydro-Québec’s Board of Directors has hired ERM, a world leader in workplace health and safety, to analyze the company’s practices in this area. The excavation activities at the Romaine jobsite will resume in the coming days and the ERM team will begin its work at that time. Following the death of a worker on December 9, 2016, Hydro-Québec’s board created a special committee to assess our current practices and ensure that the highest health and safety standards continue to be met on all our jobsites. By hiring ERM, the special committee is demonstrating its willingness to have an independent, external company examine its current practices. 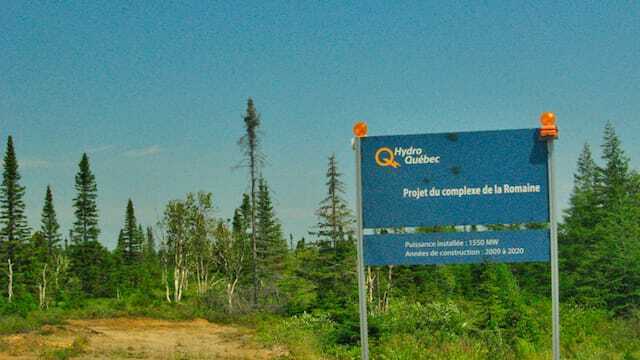 Hydro-Québec’s management will work closely with ERM specialists. Based on its on-site observations, ERM will report regularly to the special committee and present its recommendations no later than spring 2017. The company’s practices, in particular those in place at the Romaine jobsite, will be reviewed in accordance with ERM’s recommendations to the special committee. The special committee was created by Hydro-Québec’s Board of Directors on December 12, 2016. Made up of seven members, six of whom are independent, and cochaired by independent member Yvon Marcoux and Hydro-Québec President and CEO Éric Martel, the committee will report regularly to the board in the coming months. ERM is a leading global provider of environmental, health, safety, risk, social consulting services and of sustainability related services. It has over 160 offices in more than 40 countries and territories, employing over 4,500 people. ERM provides services to a wide range of sectors including Energy, Power, Chemicals, Manufacturing, Mining and High Tech/Telecoms as well as selected parts of the Infrastructure market. ERM supports several companies throughout the world in their efforts to improve their performance, namely with regard to health and safety concerns associated with major projects. In recent years, ERM has helped implement programs designed to prevent major accidents. In Québec, the company carries out its activities under the name ERM Canada Groupe Conseil ltée. What's New in the 2018 Canadian Electrical Code?